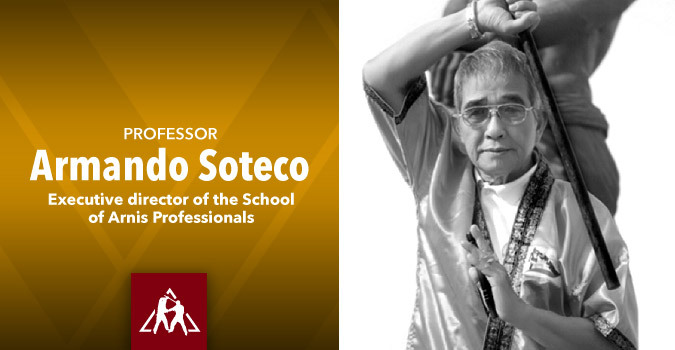 Bespectacled and dignified, Professor Armando Soteco looks every inch the title he is bearing. 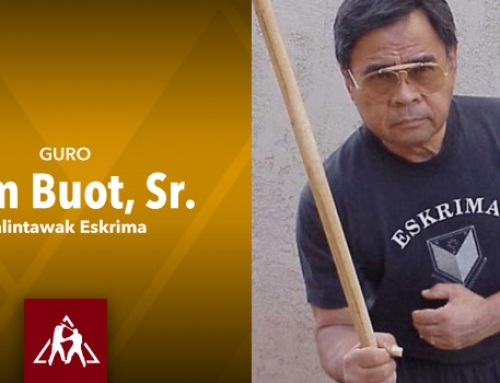 Long before the Arnis Law, Soteco was among a small group of professional educators who were working for the integration of arnis into the Philippine educational system. 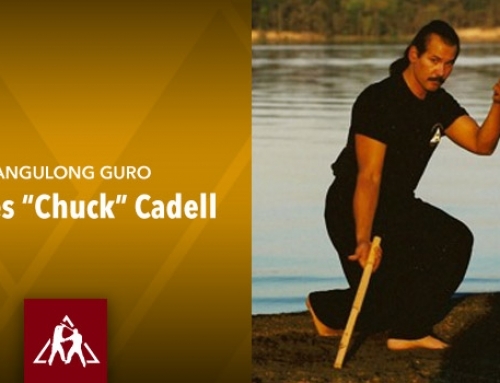 Among arnisadors, he is known for his streamlined, fast and efficient way of teaching arnis. 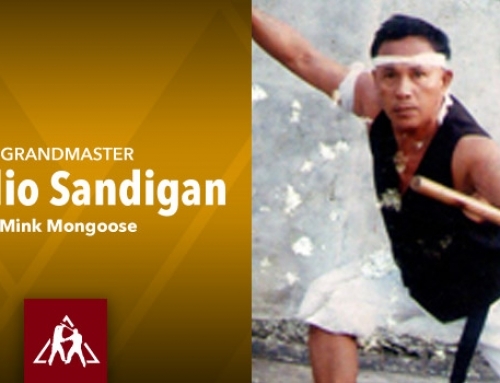 Soteco is a veteran practitioner and a recognized master of arnis. 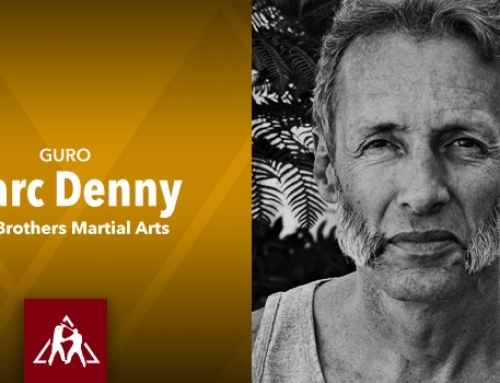 He trained from 1971 to 1975 with the late Grandmaster Remy Presas, the father of Modern Arnis. 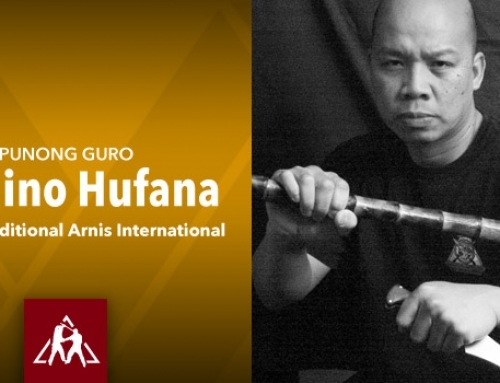 On April 20, 1989, he was recognized as a master of arnis by Grandmaster Ernesto Presas, founder and president of International Pilipino Martial Art Federation (IPMAF) at the University of Santo Tomas, Manila, during the organization’s first World Arnis Congress. 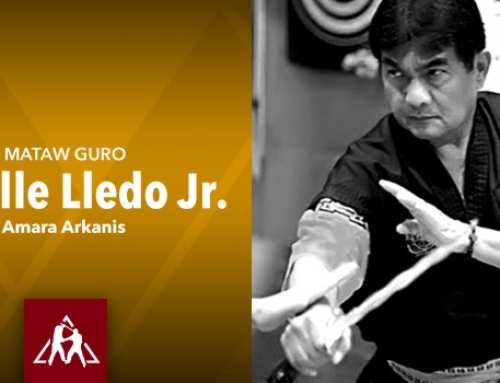 Soteco is also the recipient of several awards in arnis that include the Lapu-Lapu Award, the highest award in Modern Arnis (2006) and the Kampilan Award (2008). 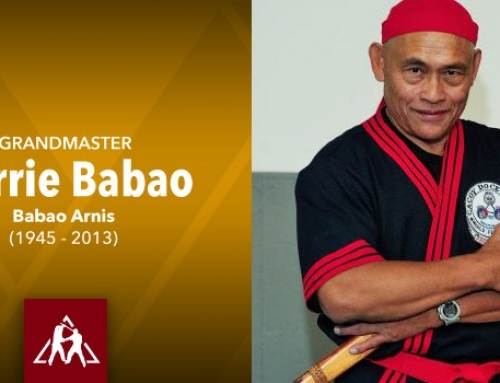 Soteco is also those who have taught arnis in Philippine schools for the longest time. 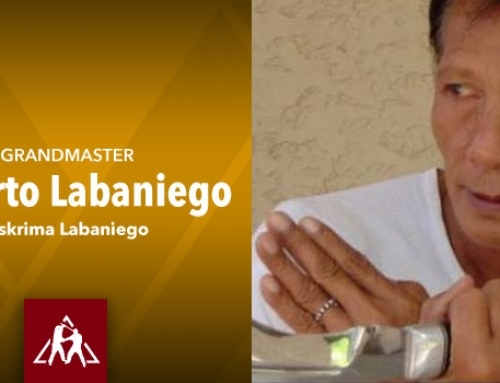 Now retired, he was an arnis professor in San Beda College from 1967 to 2002 and in Centro Escolar University from 1971 to 2001. 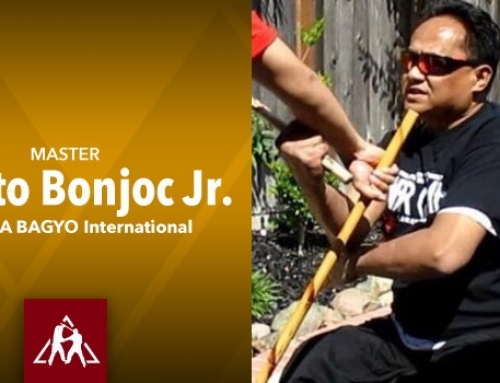 During his participation in the Consultative Seminar Workshop of the then Bureau of Physical Education and School Sports in 1989, Soteco was instrumental in the inclusion of arnis in the high school Physical Education curriculum and likewise supported the addition of arnis in the college program. 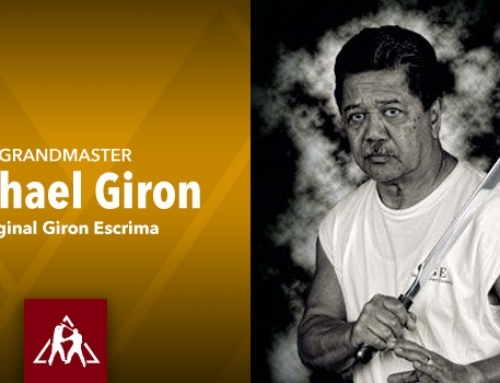 From 1980 to 1989, he had served as chief of staff of the Department of Education, Culture and Sports (DECS) – Bureau of Physical Education and School Sports (BPESS), for National Arnis Seminars. 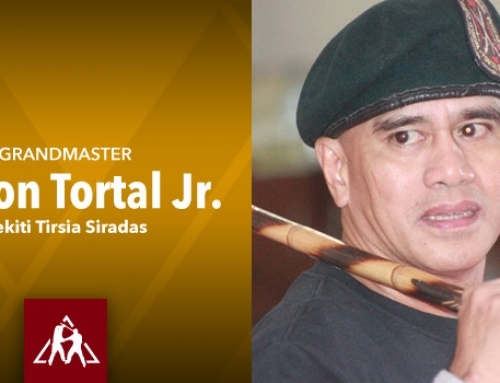 Today, besides teaching arnis and other masteral subjects at the National College of Physical Education (NCPE), Soteco is the director of the School of Arnis Professionals. 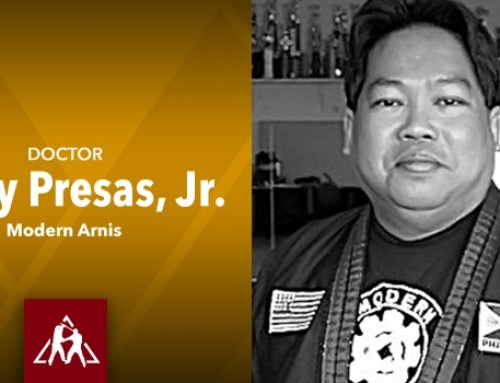 The School of Arnis Professionals is an institution he organized and established in 2003 at the NCPE, Pamantasan ng Lungsod ng Maynila (University of the City of Manila). 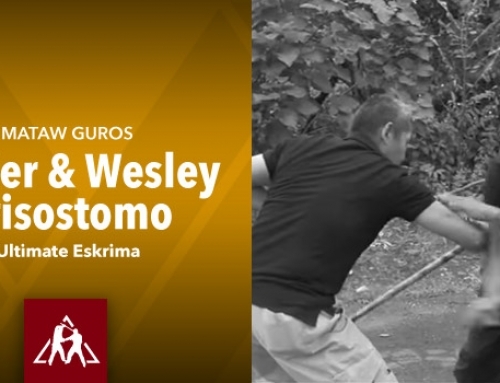 The goal of the school is to prepare professional arnis instructors and Physical Education teachers, by equipping them with scientific knowledge of teaching, coaching and managing sport arnis competitions. 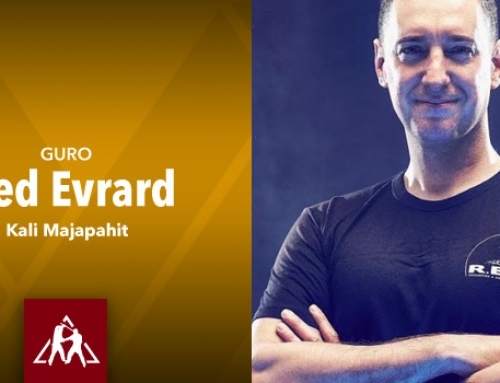 Among the subjects taught to students are sports science, physiology of exercise and physical fitness, traumatology, sports psychology, nutrition and drugs as well as sports and recreation management. 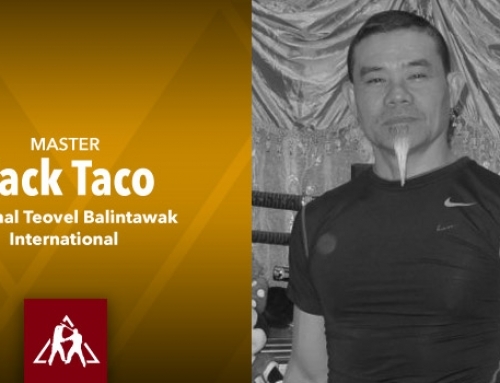 Soteco is also the founder of the Singsing Soteco System (SSS). The term SSS, he explained, pertained to both the weapon he developed and the system for using it. “Singsing” is the Filipino word for ring. Unlike the tabak maliit palm stick, which is the Filipino version of the Japanese yawara, Soteco’s weapon has a swivelling ring attached to the shaft. 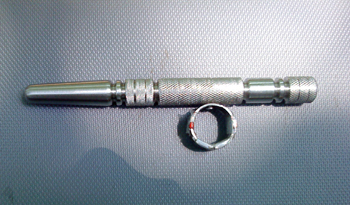 The ring secures the weapon so it won’t fall off from the user’s hand. The ring’s swivelling capacity allows the user to manoeuvre the steel shaft in various positions with ease. Since the metal shaft is literally adhering to the palm via the swivelling ring, he can use it to block a weapon attack. 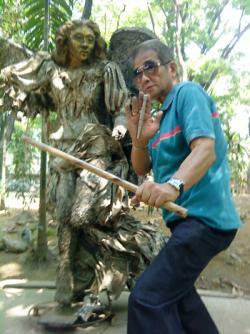 Soteco can perform sinawali drill with a pair of his SSS against a partner armed with double sticks. There is a myriad of ways of counter attacking and doing damage with the SSS. The most evident is by jabbing or hammering with either ends of the steel shaft (one end is rounded while the other is flat). Another devastating way to deal punishment with this weapon is through palm strikes either straight out or in a slapping manner. Palm striking with the SSS is possible because it sticks on the palm via the swivelling ring attached to its shaft. 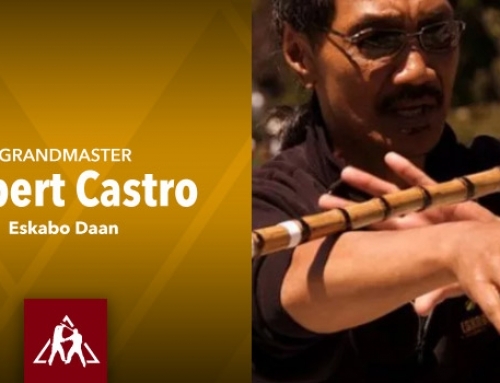 Within the Filipino Martial Arts (FMA) context, Soteco developed the SSS in response to two requirements, a need for a weapon that possesses a greater stopping power than a rattan stick and secondly, the need for a weapon that is portable and legal to carry anywhere. Because it is made of steel alloy, the SSS can definitely inflict greater damage than the rattan stick as an impact weapon. And because it has no blade and point, Soteco attested that it is perfectly legal to carry anywhere in the Philippines. He said that managed to bring the weapon several times through security and police checkpoints. 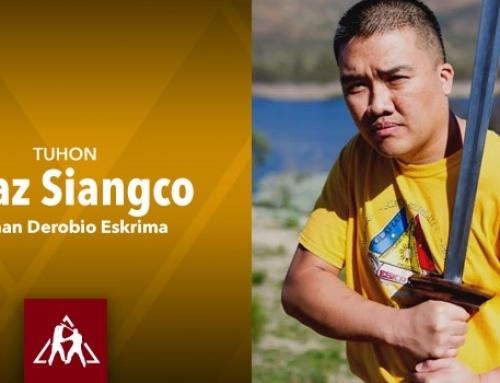 Soteco sees parallels on the development of his SSS and the .45 caliber pistol, “The .45 caliber pistol was issued to American forces fighting the Moros in Mindanao because it has more stopping power than the older .38 caliber revolver. I would say that the rattan stick is the equivalent of the .38 caliber and my SSS is the equivalent of the .45 caliber,” he said. Soteco emphasized that the orientation of SSS is purely self defense. Its techniques are simple and can be easily learned by beginners even those with zero martial arts background. 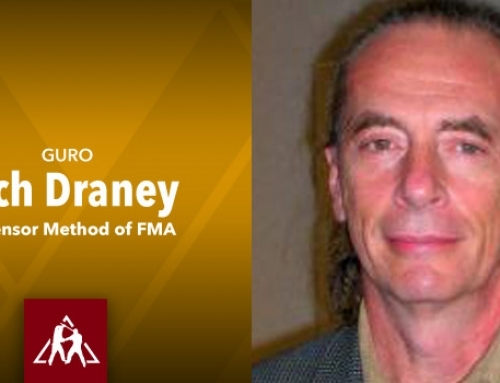 He said that individuals who have previous training in the FMA can easily adapt the SSS into their system. 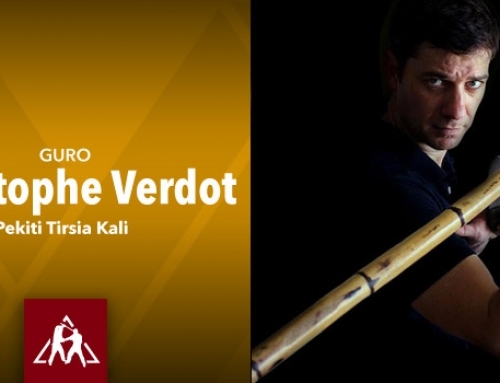 The drills are relaxed and fluid employing a parry-check-hit rhythm.